Start off your visit on the 7th (Fri): soothe aching muscles at some of the top local wellness centers. Here are some ideas for day two: take your sightseeing to a higher altitude at Triund Hill, then take in the dramatic scenery at Bhagsu Waterfall, and then contemplate in the serene atmosphere at Dalai Lama Temple Complex. To see more things to do, photos, ratings, and tourist information, refer to the Dharamsala itinerary site . Mumbai to Dharamsala is an approximately 6.5-hour flight. You can also drive; or do a combination of train and taxi. Wrap up your sightseeing on the 9th (Sun) early enough to drive to Manikaran. Kick off your visit on the 10th (Mon): make a trip to Naina Bhagwati Mandir, take in the spiritual surroundings of Sri Guru Nanak Devji Gurudwara, and then witness a stunning natural landmark at Kheer Ganga. To find reviews, photos, where to stay, and more tourist information, go to the Manikaran road trip planner. You can drive from Dharamsala to Manikaran in 7 hours. Wrap up your sightseeing on the 10th (Mon) early enough to drive to Manali. Discover out-of-the-way places like Jogini Waterfall and Hampta. Step out of the city life by going to Solang Valley and Beas River. 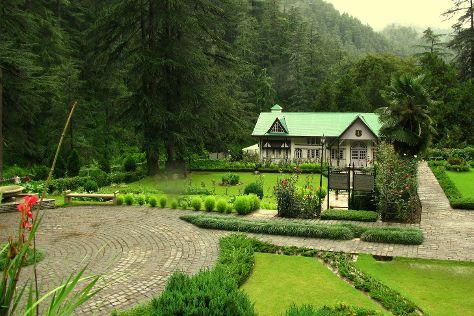 There's lots more to do: contemplate in the serene atmosphere at Hidimba Devi Temple, witness a stunning natural landmark at Vashisht Baths, fly down the slopes at Solang Nullah, and indulge in some personalized pampering at some of the best spas. For maps, more things to do, where to stay, and other tourist information, use the Manali visit website . Traveling by car from Manikaran to Manali takes 2.5 hours. Finish up your sightseeing early on the 13th (Thu) so you can go by car to Kaza. 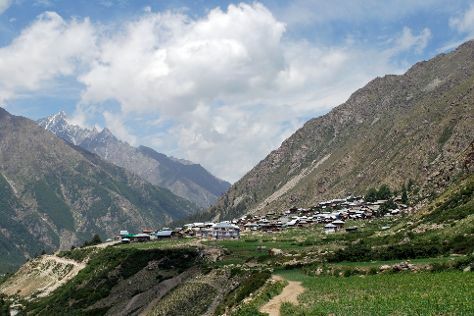 Kaza, is the sub-divisional headquarter of Spiti Valley in the district of Lahaul & Spiti in Himachal Pradesh. Its located at 3600 ASL and is a cold desert. Start off your visit on the 14th (Fri): wander the streets of Hikkim, then make a trip to Langza, then don't miss a visit to Kibber Village, and finally appreciate the views at Spiti Valley. To see more things to do, where to stay, traveler tips, and other tourist information, use the Kaza trip itinerary website . Getting from Manali to Kaza by car takes about 5 hours. Finish your sightseeing early on the 14th (Fri) so you can drive to Sangla. Kick off your visit on the 15th (Sat): wander the streets of Rakcham and then identify plant and animal life at Chitkul. For where to stay, maps, more things to do, and other tourist information, use the Sangla trip planner. You can drive from Kaza to Sangla in 6.5 hours. Cap off your sightseeing on the 15th (Sat) early enough to go by car to Shimla. Start off your visit on the 16th (Sun): make a trip to The Mall, take in the awesome beauty at Jakhoo Hill, contemplate in the serene atmosphere at Jakhu Temple, then explore and take pictures at Gaiety Heritage Cultural Complex, and finally don't miss a visit to The Ridge. Here are some ideas for day two: stroll around Annandale Ground, then admire the striking features of Viceregal Lodge, then take in the spiritual surroundings of Hanuman Temple, and finally take in the spiritual surroundings of Tara Devi Temple. To find more things to do, reviews, maps, and more tourist information, use the Shimla trip itinerary builder site . Traveling by car from Sangla to Shimla takes 7 hours. Cap off your sightseeing on the 17th (Mon) early enough to travel back home.